Working in the Omaha Metro Area since 1997. We have formed this company to do something that no other electrical contractor in Omaha had done yet; specialize and use the majority of our resources to serve Omaha’s homeowners and to meet all of your residential electrical needs exclusively for electrical service and repair. Power Crew is your Omaha Nebraska based electrical contracting company specializing in quality customer service for homeowners and small businesses. We offer complete electrical services for your home or business. Our electricians offer services that include installing, maintaining or repairing: fuse boxes, breaker boxes, switches, outlets, can lighting, ceiling fans, cable TV, networking, electrical panels, landscape lighting, basement finishes, home theater, generators, and much more. We come highly recommended by our existing customers and we have posted their testimonials below. "We Protect Your Home & Family, Our Promise Is Your Safety". We are the Power Crew, The Electricians Who Protect You. When you have an electrical problem, here's what you do, call 402-333-2222. Power Crew offers electrical services in Omaha Nebraska and the surrounding areas including: Elkhorn, Gretna, Papillion, Bellevue, Ralston, La Vista, Council Bluffs, Blair, Bennington, Arlington, Washington, Valley, Waterloo, Chalco, Fort Calhoun, Fontanelle, Leshara, Inglewood, Fremont, Mead, South Bend, Louisville, Wahoo, Cedar Creek, Plattsmouth, Boys Town, Offutt AFB, Saint Columbans, Springfield, Ashland, Memphis, Kennard, and Yutan. We are expanding into Western Iowa past Council Bluffs and serving: Manawa, Chautauqua, Crescent, Honey Creek, Pacific City, Glenwood, Missouri Valley and surrounding areas. "I would like to recommend Jason Amato of the Power Crew. I won a drawing at one of the Home Shows a few years ago and had Jason do a whole house electrical inspection. He was very thurough and found a couple of issues that needed to be addressed. We then had Jason back out to replace an interior and two exterior fixtures on our home. He was a great help in selecting the fixtures and also getting us a good price. I had the pleasure of being in a BNI Group with Jason and several other members had nothing but good things to say about Jason and his crew.If you are looking for an electrician, give Jason a call. Kevin Wilhelm"
"The Power Crew was able to come out to our site in a very short period of time. Jason and his team listened to what I wanted done in a unique situation and then made recommendations on what would be the best approach. There was a dual focus on practicality and safety, with safety being the most obvious guideline that Power Crew was following. They overlooked nothing, and kept the work within the initial estimate. All of this while being polite AND professional. When I need more electrical expertise, there is no question who I'd hire again. Job well done in a timely manner! -Curtis"
"The Power Crew has completed several jobs for my clients. Because I recommend them to my clients, they are an extension of my services as well. Jason and the Power Crew have never let me down. They provide real value because they go the extra mile and treat each client as their most important client. I would recommend them again and again." My husband and I would like to write a note of thanks to our electrician, Doug. Doug did work for us at our home in Papillion this week. We are currently trying to sell our home and needed to make sure our basement was within code as far as outlets and light switches go. Doug did the work in two days and we were very impressed with his work and efficiency. Not only that, he was very polite and took the time to explain your pricing to us so we could make an informed decision. We will be sure to recommend your company to others in the future. I want to thank you for the new ceiling fan and light fixture! What a difference it has made to our bedroom! I am so grateful for your ugly light fixture contest. I feel like I won the lottery! Tom & Doug did a nice job and gave us some quotes on additional work. We will definitely be calling you on that. First and foremost, I thank your company for promptly coming out to my residence on the morning of October 17 and 100% correctly diagnosing the roots of the problems with my Qwest phone service. I really appreciate your thoughtful concern as reflected in your call to Qwest on October 17 after your business isolated the trouble causes and your recent letter of course. Description Of Work: Rough end electric and electrical finish on a newly refinished room in our basement. Member Comments: We had just turned a section of our three car garage into a bedroom for our son who was anxious to get a room in the basement of the house. The Power Crew was able to give us a very reasonable bid and get the job done very efficiently. 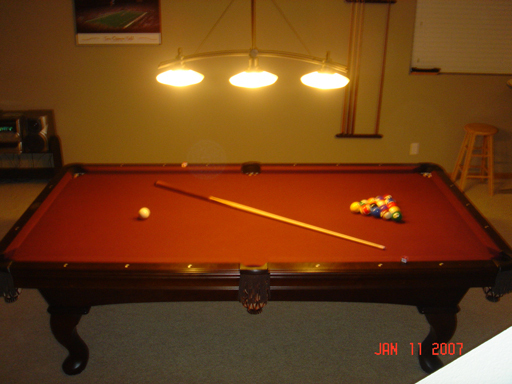 I felt very comfortable with them in my home, and the end project turned out great! Our son was very happy to have his own room in the basement. Description Of Work: Called the Power Crew to install a cable outlet outside on my deck. It involved running cable from our laundry room up the wall & to the outside & underneath of our deck. The cable was then ran up the side of the house & a cable outlet was installed. When Jason Amato arrived, he inspected our home to see what the best route would be to complete our request. He offered us a few options & explained what he would have to do for each option & let us choose the option we preferred. He also made sure to ask us if we were satisfied with the location of the cable outlet, so it coincided with my decorative scheme. That was very impressive. And before I knew it, he was finished. As well, Jason was very friendly, professional & helpful to answer any questions we asked. Member Comments: Please see above as I answered this already. But, once again, it went very well & I would highly recommend the Power Crew to all my family & friends. 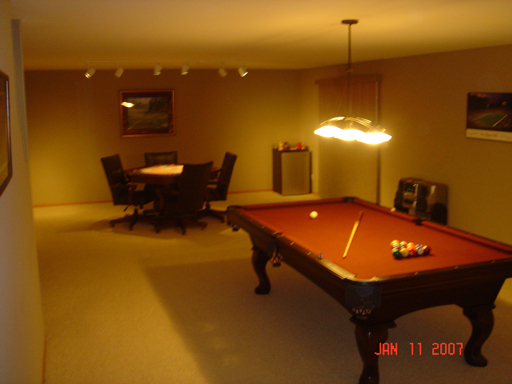 Description Of Work: My new home construction consisted of basic lighting in my finished basement. The lighting that came with the house was not the desired lighting needed for the space I had. I hired Power Crew to put in can lights in my television viewing area (8 cans) with dimmers, a lamp above my pool table (also with a dimmer), and track lighting above the bar/poker game area. The lighting I have now is much better and performs perfectly for each of the applications/activities that I have in my basement and has drastically improved our experience in the basement. 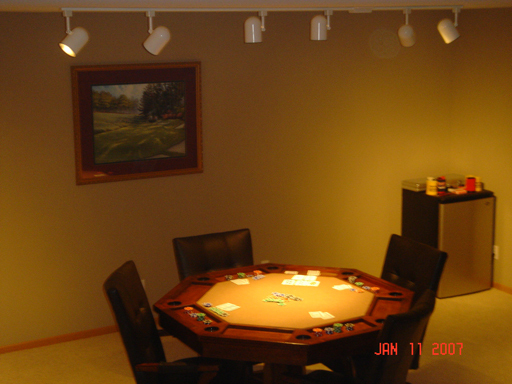 Member Comments: Power Crew came in made recommendations based on their experience that not only greatly improved the quality of light but the quality of the overall experience and comfort of our basement. From the idea stage to completion, everything went as I had hoped based on the expectations that were set forth by Power Crew. The work was done in a professional manner by Power Crew and I was very impressed with the quality and timing in which the job was completed.